Image credit: The Daily Brunei Resources. Documents of the earliest Hispanic contacts with Batangas referred to the natives of Bonbon and Balayan as Moros – Spanish for Moors. This was altogether incorrect because the term Moor was originally used to connote the Muslim inhabitants of North Africa and parts of Europe, particularly those of the Iberian Peninsula, regardless of ethnicity. 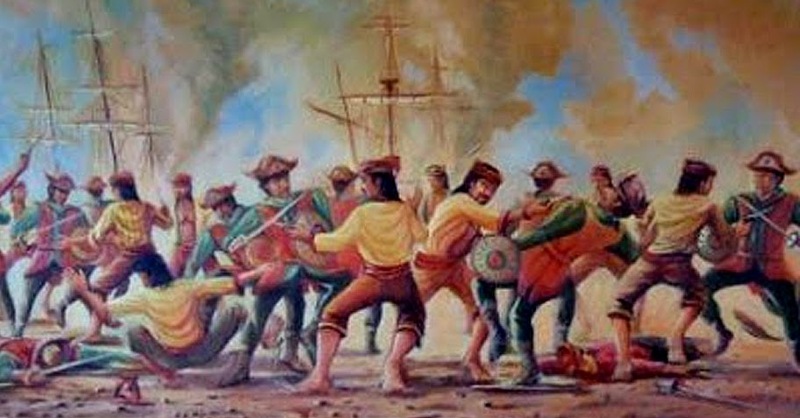 However, even when Miguel López de Legaspi and company were still based in the Visayas, the Spaniards in documents sometimes referred to the natives there as Moros, too. Hence, we deduce that to them, the word Moro was used in a general sense to mean Muslim; albeit, in some instances, the word was also just used indiscriminately to refer to the natives. Borney in Spanish documents was often used in a general sense to mean the island of Borneo or, in a more specific sense, the present-day state of Brunei. Magad-china’s narrative was, of course, both hearsay and folkloric. His statement that the ancestors of the Borneans were natives of Mecca was a stretch of the facts as, indeed, information rather tends to be diluted when spread by word of mouth. However, it was not completely without basis. But even from Magad-china’s narration, it could be inferred that Borney’s intentions went beyond simply proselytising. 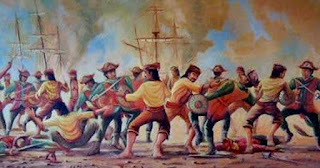 Beyond merely playing the waiting game, Borney’s traders, whether wittingly or unwittingly, moved forward their king’s agenda by getting “intermarried with local women while maintaining links with their home port (Borney)…8” In fact, Raxa Soliman, erstwhile of Manila, was the grandson of the king. Of course, in the 16th century, there was no geopolitical entity called the Philippines as we know it today. Still, what was apparent was that Borney, a regional power benefiting from the fall of the city-state of Melaka (in the Malay Peninsula) in 1511, had both religious as well as territorial ambitions on the islands to the north, i.e. the Philippines. In other words, exactly as the Spaniards did. It is well worth pointing out that the natives of early Batangas, i.e. those of Balayan and Bonbon, must not have been too impressed with Borney. The King of Borney’s practice of detaining their kinsmen must have been seen in a negative light by the locals. Also, people of Balayan continued Mahometan worship, which they shared with the people of Borney; but were nonetheless quick to become vassals of the King of Spain. Despite the friendly intentions of the Spaniards, the communication sent to the King of Borney would not have been received as friendly at all. The Spaniards were the newcomers to the region. The guarantee of security to come and go would have been quickly seen as a veiled staking of a claim on islands where the Borneans had been free to come and go in the first place before the Spaniards arrived. 3 Archaic term for Mohammed. 7 The Cambridge History of Islam: Volume 2A, the Indian Subcontinent, Southeast Asia, Africa and the Muslim West, P.M. Holt, Ann K.S. Lambton and Bernard Lewis, Editors. Cambridge, UK 1970. 8 A History of Early Modern Southeast Asia, 1400-1830, by Barbara Watson Andaya, Leonard Y. Andaya. Cambridge, 2015. 9 Antonio Pigafetta was the Venetian chronicler who accompanied Ferdinand Magellan on his expedition to discover the Spice Islands.